THE MOST BEAUTIFUL BENT NOSE IN THE WORLD? When Ideal-tek introduced the Ergo-tek range in 2013 we set a new benchmark for the ergonomics, quality and beauty of cutters and pliers. Customers love this product line. The Ergo-tek range of Pliers also includes Snipe Nose and Flat & Round Nose. 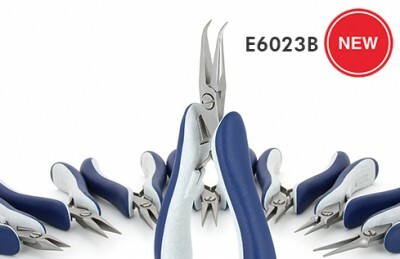 The Ergo-tek range of Cutters includes Oval, Tapered, Tapered & Relieved, Wire Lead Catchers & Specials. Details of the whole range are available here.